Across the United States, the devastating impact of the opioid epidemic can be seen everywhere. It is hard to turn on a news channel or read the morning paper without hearing a story about the impact of the epidemic on overdoses, deaths, legislation, prevention and treatment efforts. Drug overdose deaths have nearly tripled in the United States since 1999, 91 Americans die from an overdose every day, and more than 1,000 people are treated daily in emergency departments for not using a prescription opioid as directed. Former British Prime Minister Benjamin Desraeli once said, “what we anticipate seldom occurs, what we least expect generally happens.” For physicians, they excel at anticipating the needs of their patients and delivering the right care at the right time. Years of schooling and training position physicians with the knowledge needed to help improve the lives of their patients. In total dollars, the increase went from $72 million in 2011 to $722 million in 2015, according to Fair Health. The former model of patients largely relying on the intuition and medical knowledge of the physician is being supplanted by a new model of care with the physician as coach and the patient assuming more responsibility for their own health. The physician has a responsibility to counsel the patient on the risks they face, so that the patient can make informed decisions. It is important for physicians to discuss the risks as well as the benefits associated with using opioids before writing the first script. In the Express Scripts report titled A Nation in Pain, nearly one-half of patients who took opiate painkillers for more than 30 days in the first year of use continued to use them for three years or longer. Almost 50% of those patients were taking only short-acting opioids, putting them at higher risk of addiction. In the 2017 Centers for Disease Control and Prevention (CDC) study on the characteristics of initial prescription episodes and the likelihood of long-term opioid use, the study found that the duration of the initial opioid prescription can have a profound impact on whether the patient will still be using opioids after one year. Considering the staggering toll the Rx drug epidemic causes to our communities, the CDC findings further highlight the importance of physicians having frank conversations with their patients at the outset of any opioid therapy. Dr. Frieden’s comments underscore one of the significant challenges faced by the CDC. Namely, the need for proper education of prescribers and patients about the addictive effects of opioids and the need for safe prescribing practices. Offer treatment for opioid use disorder. By analyzing patient records relating to the first episode of opioid use among commercially insured, opioid-naïve, cancer-free adults, the study authors hoped to improve prescribing practices by shedding light on the duration of opioid therapy for acute pain and the type of opioid to select when therapy is initiated. Consistent with CDC guidelines, treatment of acute pain with opioids should be for the shortest durations possible. Prescribing <7 days (ideally ≤3 days) of medication when initiating opioids could mitigate the chances of unintentional chronic use. When initiating opioids, caution should be exercised when prescribing >1 week of opioids or when authorizing a refill or a second opioid prescription because these actions approximately double the chances of use 1 year later. In plain terms, there is now scientific evidence that by the third day of opioid use, some patients may be on the path to chronic opioid use! These findings suggest that prescribers and patients should have frank conversations prior to the initiation of opioid therapy and prescribers should review the CDC Guidelines and state guidelines with their patients at that time. In June of 2016, former Surgeon General Dr. Vivek Murthy sent a letter to every prescriber in the nation describing the opioid epidemic as one of the greatest health crises of our time. In the letter, he pointed prescribers to the website turnthetiderx.org and the brochure titled Prescribing Opioids for Chronic Pain. Highlighted at the top of the brochure was the sentence “IN GENERAL, DO NOT PRESCRIBE OPIOIDS AS THE FIRST-LINE TREATMENT FOR CHRONIC PAIN.” The document also discussed the steps physicians should take before prescribing an opioid. The four steps included: 1) assess pain & function, 2) consider if non-opioid therapies are appropriate, 3) talk to patients about the treatment plan, and 4) evaluate risk of harm or misuse. Based on the latest CDC research, the authors believe another step should be added before talking to the patient about the treatment. We believe physicians should discuss the risks of taking opioids with every patient they treat. When patients understand the side effects of opioids which include sleeplessness, nausea, vomiting, diarrhea, constipation, trouble sleeping and ultimately dependency and addiction, then, and only then can they fairly weigh the risks vs. the benefits. That would be a win in our book. As used in this document, “Deloitte” means Deloitte Consulting LLP a subsidiary of Deloitte LLP. Please see www.deloitte.com/us/about for a detailed description of our legal structure. Certain services may not be available to attest clients under the rules and regulations of public accounting. Copyright © 2014 Michel & Ward. All rights reserved. 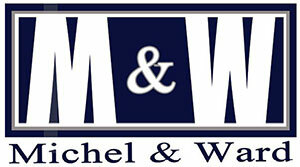 M&W Disclaimer.